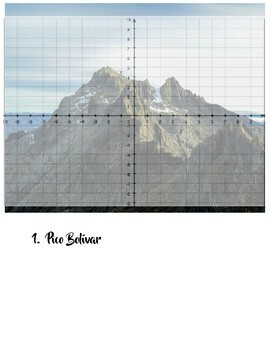 There are 10 different mountains that students will use to calculate the slope. 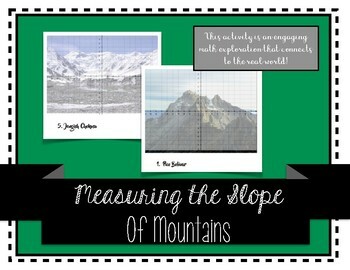 You can use the activity to have them practice finding the precise points to slope. 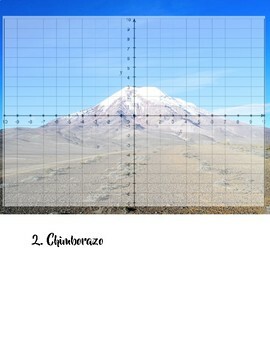 You can have them measure 5 different slopes and average them. 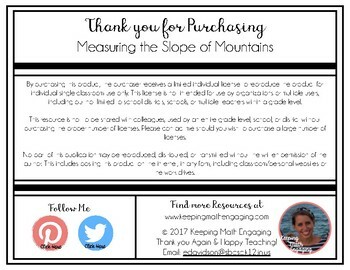 You can even have them find the slope and then graph the slope and the height to allow students to see if there is a positive relationship between slope and height.